May Day is approaching in the English village of Little Hodcombe, scene of an ancient Civil War battle. When the TARDIS arrives, the Doctor's companion Tegan is hoping to visit her grandfather. Yet the travellers learn that he has mysteriously disappeared, and the planned re-enactment of the battle has taken on a menacing tone. Local schoolteacher Jane Hampden knows how the county squire plans to celebrate May Day: with the May Queen meeting a grisly end. Can Jane make the villagers see sense, or are they all under the influence of some unseen force? The village church holds the clues to what is happening in Little Hodcombe, and soon the Doctor is facing an ancient alien foe. Can he and his friends triumph against it? 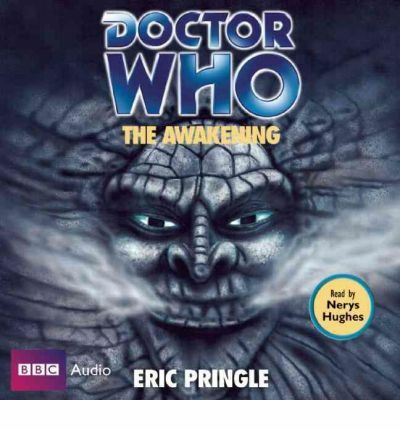 Eric Pringle's novelisation of his own TV serial is read by Nerys Hughes, who played Todd in the "Doctor Who" episode "Kinda". 'BBC Audiobooks has chosen well with its books and has taken the right approach with its readers...they benefit from new music and sound effects' - "Doctor Who Magazine". Nerys Hughes reads this exciting novelisation of a classic "Doctor Who" story.